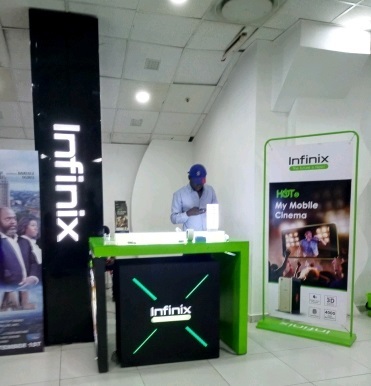 The launch of Infinix Hot 5 and Hot 5 Lite smartphones into the Nigerian market took another style, as Infinix Mobilty prefers to invite its guest at the Ikeja Cinema in Lagos. The announcement from Infinix was made with the launch partners Jumia as its exclusive online partner and Slot Limited as its exclusive offline retail partner. 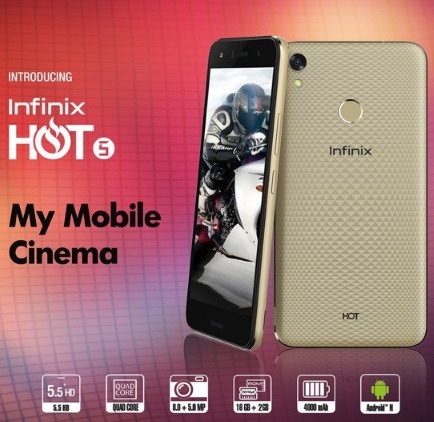 The new Infinix Hot 5 and Hot 5 lite are promoted as Nigeria’s First Mobile Cinema Smartphone, which ensures real time mobile viewing with its 5.5HD displays, dual front speakers and 3D Dirac stereo to enable users to optimize their mobile experience. Powered by Android 7.0, the new Infinix Hot 5 offers the customized user interface XOS 2.2 on 4000mah battery life, which ensures 35hrs talk time for all users. The well-equipped and affordable smartphone also offers internal 16GB ROM and 2GB RAM for speed targeted at Hot series fans & trendsetters stated Regional Country director Infinix Mobility ‘Mr Bruno Li’ at the product briefing. 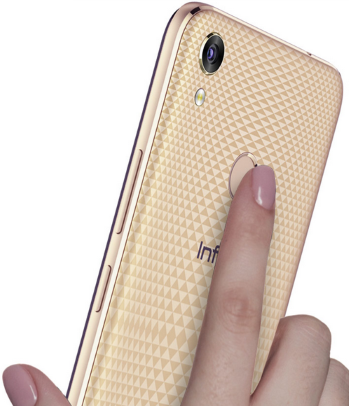 Check the full Specifications of Infinix Hot 5 here. According to Jumia, Infinix Hot 5’s predecessor was the best seller on their platform in 14 countries and Infinix Hot 5 would deliver a bigger success in the African market based on its specifications. The new Infinix Hot 5 is retailing for N37, 500 and Infinix Hot 5 lite for N32,000 on Jumia Nigeria and at all slot retail outlets nationwide. Click Here To Grab Your Infinix Hot 5 and Infinix Hot 5 Lite Buy Now.